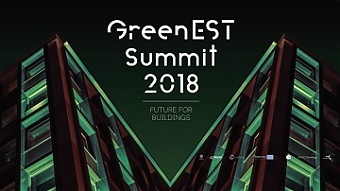 On October 30, 2018, Tallinn Science Park Tehnopol and Effect4Buildings will organize an international greentech conference in Tallinn – GreenEST Summit 2018: Future for Buildings where you’ll see innovative energy-efficient solutions and hear inspirational speakers from all over Europe. The event brings together public and private sector real estate experts, municipalities, greentech companies and investors from all over Europe – Denmark, Norway, Sweden, Finland, Estonia, Latvia, Poland, etc. On top of inspiring speakers, we’ll have engaging panel discussions and Europe’s top greentech companies presenting their energy efficient smart buildings solutions. Speakers will cover the topics of building envelope (walls, floors, roof, doors, fenestrations), ventilation, heating and cooling, water, lighting, electricity, building management systems/ICT solutions and more. On top of inspiring speakers, participators will have engaging panel discussions and Europe’s top greentech companies presenting their energy efficient smart buildings solutions. See the agenda and find more information about the speakers here.